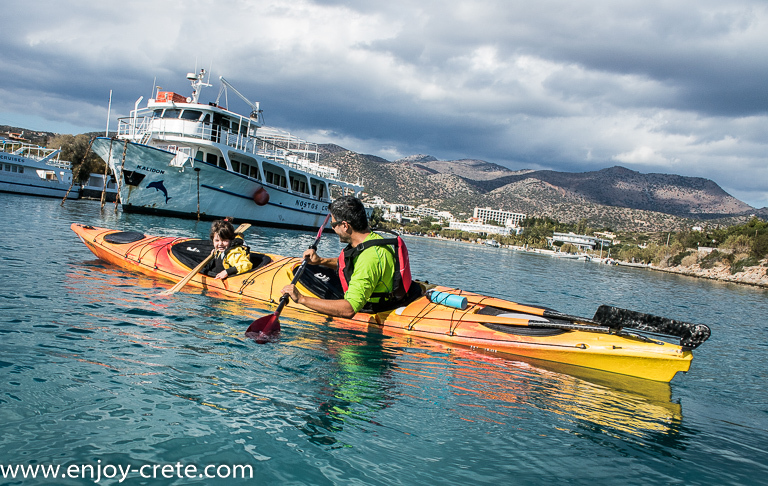 Each year more parents are introducing themselves and their kids to sea kayaking and discovering the amazing coastline of Crete. 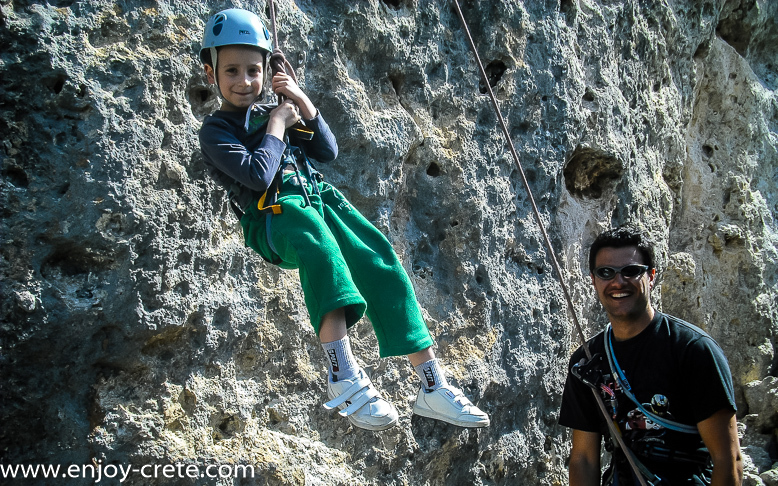 Rock climbing trip and courses for kids from 6 to 17 years old. We teach the best climbing methods and use optimal equipment for quick learning. Trip starts 10 am and finish by 2 pm. Photos from the trips can be seen in our day trips listing. Minimum participants 2 for Heraklio region (central) and 4 for the rest of Crete. The activity starts 10 am and finish between 2-3 pm. You can pay us either via credit card (we accept all major credit cards) or by cash. Payments with credit cards must be done at least 2 days prior the starting date in order to have the funds cleared by the trip date. Once you fill the booking form we will send you a link where you can use your credit card to make the payment. Please note that payment is done direct to our bank's secure server, we do not hold or store your credit card details. After you fill the booking form we will let you know by email within 1-2 days about availability. Once this is confirmed we will send you a link where you can pay with your credit card the 20% to confirm booking. You will get a final confirmation two days prior the date of the trip as only by then the weather forecast is accurate. On the same email you will get the exact meeting point and time with directions how to get there. If you paid in advance and the trip cancelled due to weather forecast a full refund will be sent including any deposit. The deposit is non refundable unless we cancel the trip due to weather. Family kayak trips are available only on the spots listed below. For rock climbing trips, there is a climbing spot or more in every region on the island. Most of the climbing trips are taking place in Heraklio region as there are the most suitable spots for climbing suitable for young kids.